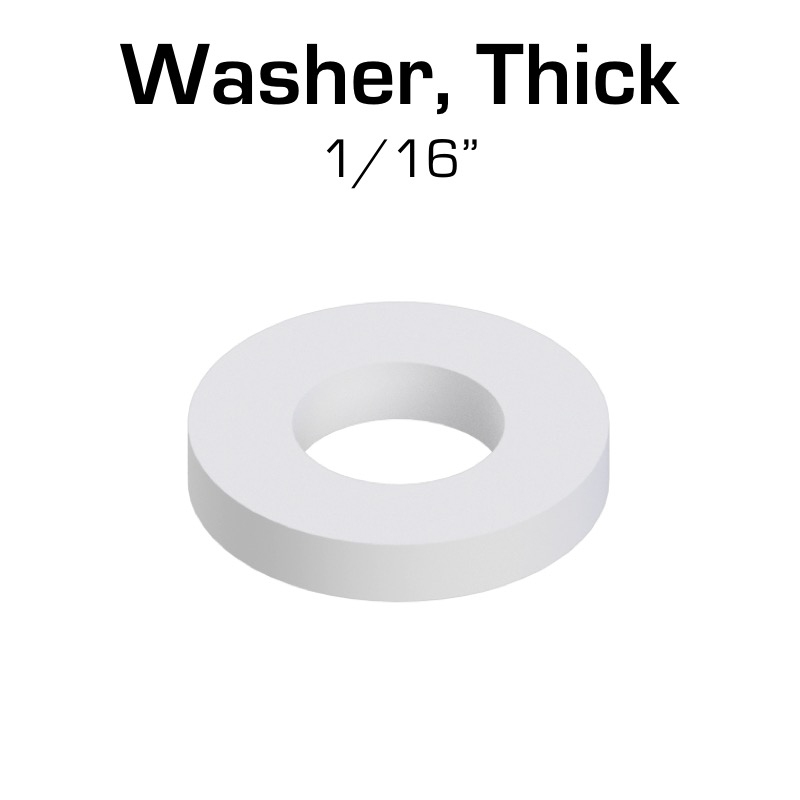 100 Pack of Low Friction Nylon Washers (1/16" thick) can be used on screws, shafts, and more. Use to space out items, reduce friction on moving parts, and more. Similar to the VEX EDR® Teflon (PTFE) Washers. Fits #8 (VEX screws are #8-32) and many more sizes. Our selection of washers and spacers are a perfect fit for VEX Robotics! 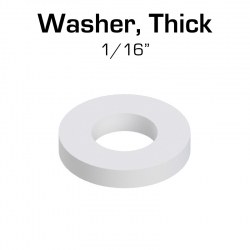 Thick washers are exactly the same thickness as VEX Aluminum and our plastic sheets, and can easily be combined with our other hardware to achieve the best spacing. 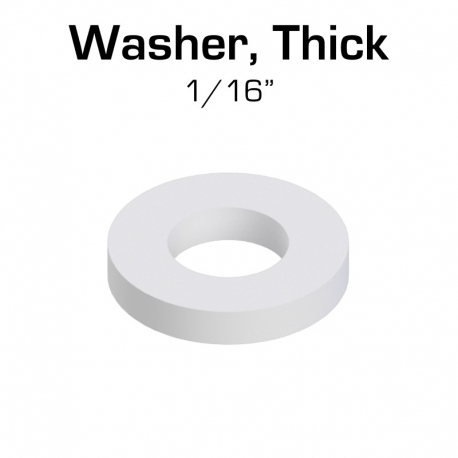 100 Pack of Low Friction Nylon Washers can be used on screws, shafts, and more. Use to space out items, reduce friction on moving parts, and more. Similar to the VEX EDR® Teflon (PTFE) Washers. Fits #8 (VEX screws are #8-32) and many more sizes. Legal for use on competition robots: Rule R7c permits hardware including washers in various sizes, including #8.